Submitted by mark on Sunday, October 2nd, 2016 at 4:17 pm. 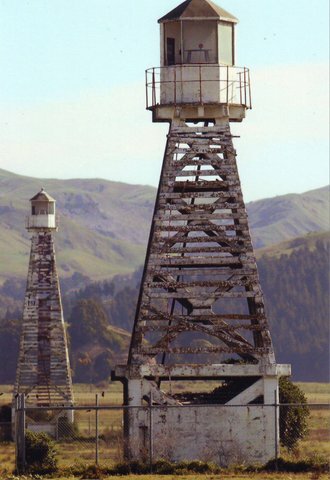 Historic Places Aotearoa invites heritage groups and heritage advocates to the Hawkes Bay for a weekend of events and workshops. The aim of the weekend is to help strengthen the heritage networks in New Zealand and to consider how these networks can be developed to better advocate for the protection our heritage throughout New Zealand. The workshop on the Saturday afternoon will be facilitated with this aim in mind. We believe that it is important that Heritage Groups and Advocates develop a strong voice, so that as a collective we can greater influence government and local government, to ensure that our heritage is recognised and protected for future generations to enjoy and cherish. Submitted by mark on Sunday, July 10th, 2016 at 4:29 pm. The following extracts have been taken from an article “ART DECO BUILDINGS: EARTHQUAKE PRONE OR EARTHQUAKE PROOF?” (Hawke's Bay Heritage News April 2016) that summarises the findings of the "Seismic Considerations for the Art Deco Interwar Reinforced Concrete Buildings of Napier, New Zealand" report. Submitted by mark on Sunday, April 17th, 2016 at 2:47 pm. "After the ruinous Hawke’s Bay earthquake, rebuilding a city in the midst of the Great Depression seemed impossible. 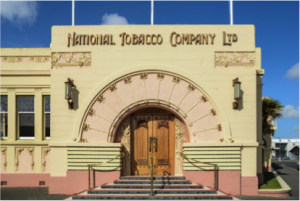 But through artistry and enterprise, Napier became home to the highest concentration of art deco buildings in the world ..."
Submitted by mark on Tuesday, May 27th, 2014 at 3:29 pm. Submitted by mark on Friday, September 20th, 2013 at 9:17 am. Submitted by mark on Tuesday, July 23rd, 2013 at 1:18 pm. "History's hard labour goes under glass" Hawke's Bay Sun reports on the "glassed view of the (Napier's Sea Wall) rock foundations". 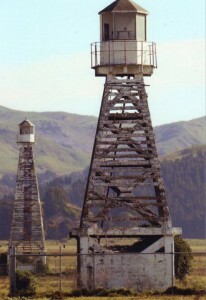 The Napier Sea Wall was built by prisoners in the 1880s. Submitted by mark on Monday, February 18th, 2013 at 9:27 am.